As you all know at this stage I’m passionate about bedroom decor and love creating peaceful havens that offer quality and luxury. 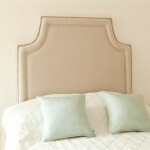 Upholstered Headboards are the Perfect way to add some comfort and luxury to any bedroom. 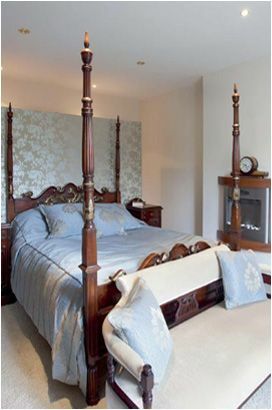 However another way is the use of a Four Poster Bed….or better still the combination of a Four Poster Bed and an Upholstered Headboard. Here are my top 10 Four Poster Beds. This vibrant white Four Poster Bed with its colourful canopy and coordinating headboard look absolutely stunning. 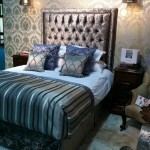 Make a dramatic statement with a black Four Poster Bed shown here with coordinating bed linen. This metallic Four Poster bed and matching upholstered headboard are right on trend for 2014. The chrome bed in this stunning contemporary bedroom looks fabulous…love the cream upholstered headboard as it softens the look. Also love the cosy window seat. Classical decor at its best…love the colour scheme and the simple white Four Poster looks perfect in this room. This Georgian Style Mahogany bed with its guilded detail and coordinating bedside cabinets look fabulous. The bed end sofa was upholstered by Perfect Headboards. This traditional bedroom looks cosy and inviting. 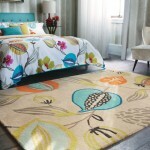 The green pastel Four Poster Bed with the floral drapes look made for each other. 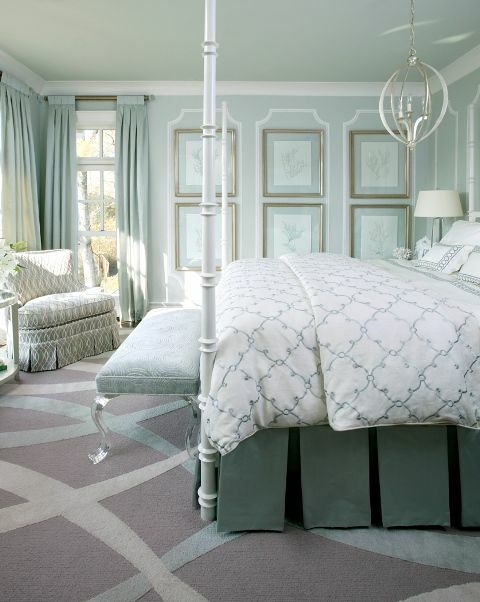 Would you love a four poster bed…then you could create the illusion of one like this bedroom. The oversized headboard also looks great here. 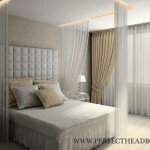 I really like the simplicity of this four poster bed…it lets the headboard and bed end bench take centre stage…the drapes are simple and graceful.